Welcome to the Bundesliga! Welcome to the next chapter of Michael Flynn! This story will continue the story of Michael Flynn which started last year at Newport County. You can catch up with it by following this link. Within 5 years Michael Flynn led the team from League 2 in England to the Premier League title and the Champions League final. 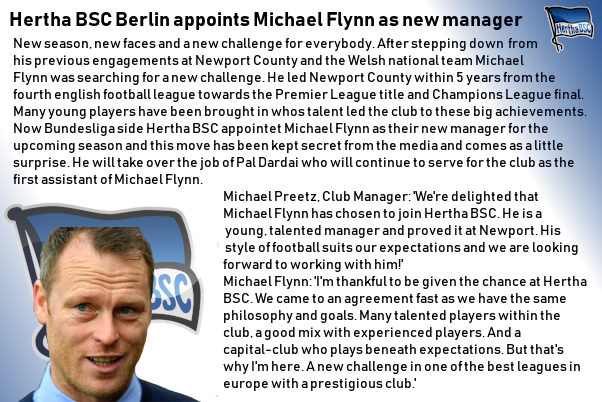 Now the team is ready to walk on their own feet and Flynn continues his own journey at Hertha BSC Berlin. Flynn had multiple offers after stepping down from his engagement at Newport. 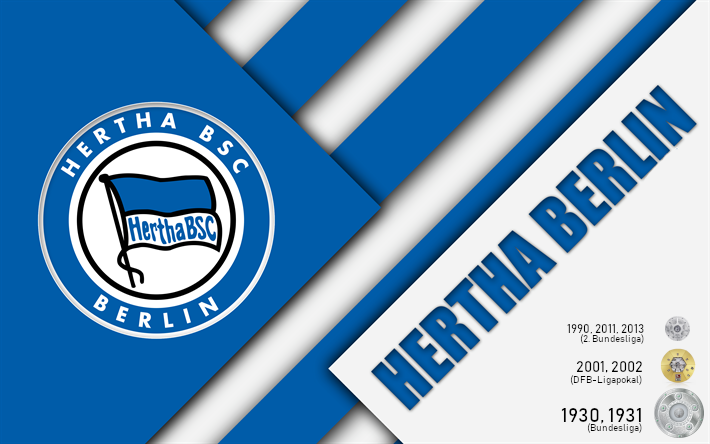 I decided to go with Hertha BSC here as this is my favorite club in Germany and I hope thereby I can add a bit more background knowledge and experiences to this story. Hertha BSC went through up and downs within the last years and couldn't really show any consistency. That's what need to be changed as this club is playing beneath expectations and should rise as the main football club from the capital! All ratings and potential can be seen on Sofifa. Nice to see you finally doing your absolute fav team. I have a weak spot for Hertha. I lived in Berlin for a year and visited many games in their 2005-06 season (10th) and later saw Brazil - Croatia (1-0) in the same stadium. Interesting team choice I like it, they seem like a mid-table club with the odd year they finish in the top 6, not so much recently though. The challenge will be to make them consistent European competitors. A handful of players with decent potential too, hopefully you keep hold of them. I like this story too. 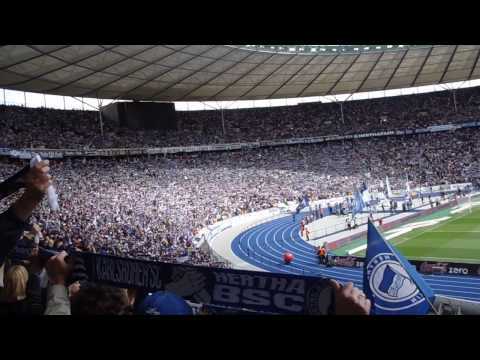 I love Berlin and I've always liked Hertha... no need to say that I have good memories of the stadium too. If Flynn took Newport to heaven, what can he do with Hertha? Good luck! Damn I didn't know both of you have a weak spot for Hertha. Glad to hear (: I personally don't like Berlin that much, but that's normal as I do live near Berlin and have been there to many times. But I can imagine foreign people to like it. They're definitely a great and pleasant team. The stadium is great...as a stadium. Unfortunately it's to big for Hertha and it isn't a pure football stadium. Does lose some atmosphere thereby compared to other stadiums. Thanks! Exactly. They are a good mid-table team with the potential for higher spots. But often they start the season great and fall down in the end. So the main goal is to bring in some consistency to fight for european spots and maybe aim higher with some decent signings. But I want to be realistic. So bringing in younger players for a decent price is the main goal instead of splashing the cash for one big player. Thank you all for joining in and following. I will probably start the story next week as I still work on some graphics and will get into the game then on the weekend I hope. For all of you who are interested and do have questions, feel free to ask them now! Now that you mention it: it was more the stadium than the club. I just love being in places where you can sense the history around you and well..., Berlin was where it all happened in Europe for almost the entire 20th century (first the Kaiser, then Hitler and after that the Berlin division). it is the only big league club from a European capital, which isn't a serious contender for the national title. What are you going to do different than your predecessors to undo that statistic? Obviously investment is needed: are you going to focus more on the Academy and scouting young and/or unknown players, as you did with Newport? Or are we going to see the arrival of some big players? You seem to have an overload of midfielders: can we expect some players leaving, either being sold or loaned out? Is it possible or likely you taking some of Newport's players here to Berlin? 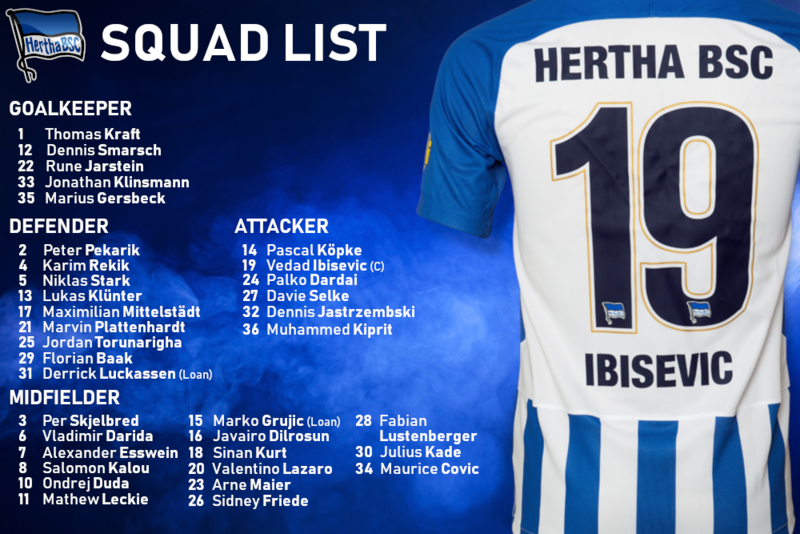 The Hertha team have some fantastic players and you could argue their is the nucleus of a good side already here, do you know which players who are currently at the club you have in your plans? Will you be doing much transfer activity to start with or are you going to give the current crop of players a chance first? Very interested to see who you bring in, there are some quality young German talents out there for a good fee and I've been keeping my eye on a few of them, what positions are you looking at? Julio Maldonado (Diario Marca) - Considering the resources available and possible signings, what would you consider the main objectives of the team in the season that is about to start? Danimal (Danimal Planet): 'Hertha has one bothering statistic: it is the only big league club from a European capital, which isn't a serious contender for the national title. Michael Flynn: 'Quite some questions to kick this one off. Let me try to remember all of it. Of course statistics don't lie. It has been quite some time since Hertha was fighting for the Bundesliga title, which certainly is bothering considering this club. There are many circumstances which led to the fact that none of my predecessors were able to turn things around. I won't name anybody. What can I do different? I want a hungry team all season long. If we start hot we need to stay hot. If we fail we need to get up. We should never rest and do have to work on ourselve. A season is long. The players need to remember it. I also like attacking the ball early, play aggressive and don't sit back. That's something we need to work on. In terms of investments me and Michael Preetz do think the same. If there is a chance to make a bargain for a big player we will try our best. But our main focus is on young, hungry players who can be led by our experienced players. When the other teams don't know the players it could pay off as they don't know what to expect. So we need to keep it balanced. In terms of departures I can't say anything yet. The window is closed, we have our team and will see how it goes. But we will look for options, whether it will be selling or loaning. Hertha BSC Berlin will take part in this years European International Cup in England. Michael Flynn will look to get first insights on his new team and prepare for the start of the Bundesliga season. They certainly are. We will test as much as possible to get the best insights. Flynn's debut went not as expected against Newcastle United. A tough game. The first game for Michael Flynn with Hertha BSC. As expected he tested from the start. They started with a 4-2-3-1 formation but it didn't went as expected. Many holes in midfield, not much creativity up front. After being 2-0 at half time the tactics were switched a bit and 7 new players came in. But there wasn't any big improvements noticeable as it seems the 4-2-3-1 formation is out already. Newcastle played it cool and concentrated. They used the rooms given by Hertha perfectly and deserved to win. Now it's on Michael Flynn to make the right changes before they face Southampton next. Not the best possible debut, but it's only the first game of the season. Flynn needs to know his players and find the best possible system. I bet for patience... Flynn knows!! Indeed. First ever game in a new environment. It's all about testing and getting to know the players. Big turnaround for Hertha as they smash Southampton in a sublime first half. After the unfortunate performance against Newcastle Flynn reacted and changed the tactics. Hertha came out in a 3-5-2 and it paid off big. Southampton wasn't able to breath and Hertha was up 5-0 already at half time. Clinical finishes up front and a defensive wall at the back. After half time the 4-4-1-1 was tested with new players and the scoreboard got even crazier as some wholes in defense came up and it was a big game for the fans in the end. 6-3 and a happy Michael Flynn at the end which makes the fans wanting more now. What a change of form against the Saints. Scoring 5 goals in a half! It just could get better after the first game But yeah it seems we found one formation to go for already. Will continue to test certain players now. It was crazy. Their defense wasn't really on the pitch and we just ran through it after and after. The second half was more balanced. In the end a crazy scoreboard but a lot of insights. 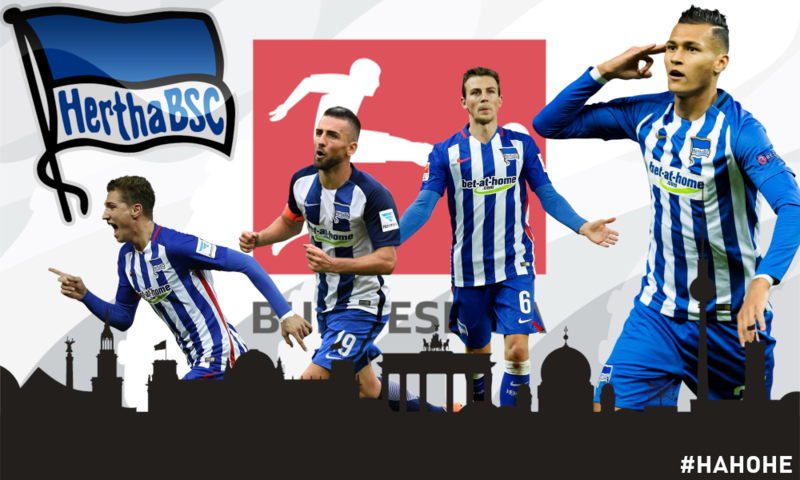 Two newcomer secure Hertha BSC the ticket for the knockout stage. After the latest 9 goal shootout against Southampton Michael Flynn now asked for a bit more patience. The 3-5-2 formation was used again and an early as well as a late goal were enough to secure the ticket for the KO-stage. Both Köpke and Dilrosun scored their first goal for Hertha after Dilrosun came in from Manchester City and Köpke joined from Aue. A concentrated and strong performance by Hertha this time. Now they will face Leicester in the semis of this years preseason cup. Much better defending this time. Only 1 point back in the group and the team seems to be coming together nicely.